Small children grow and develop according to special laws not applicable to adult. For the assessment of child development uses a number of indicators, which focuses most pediatricians. All children are unique and differ from each other by the rate of physical development. However, there are internationally recognized methods of evaluation of physical and psychomotor development of the baby. 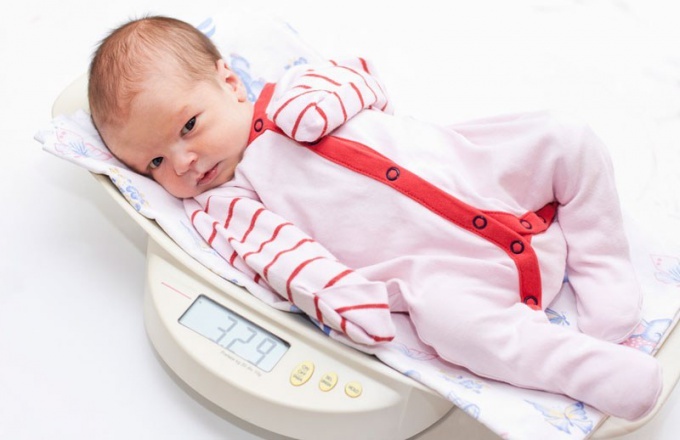 Using these methods pediatricians determine whether anthropometric measurements of the child correspond to his age. Control of dynamics of development – an important task of the pediatrician and the parents of the baby, as if there are deviations from the norm can be a timely examination and to identify their causes. Physical development of the child is evaluated on the most important anthropometric indicators: weight, height, proportions of body parts motor skills. The growth of the child is the most important indicator of normal development. Stunting is an alarming symptom that cannot be ignored at any age, starting from the first weeks of baby's life. The highest growth rates are observed in newborns. The growth process was uneven in different age periods there are so-called leaps of growth. The older the child becomes, the slower it grows. To assess this indicator, normative tables or parametric centile scale. The growth of the newborn full-term baby averages 46-60 cm For the first two months of life a baby gains about 6 inches and then the growth rate begin to decline. The next leap of growth is observed after a year. The average for the first year of the growth of the baby increases by 20-25 cm By the third year of life the child gets higher still to 12-13 cm and for four years the growth rate has been declining – the baby grows up only 7-8, see stunting is a symptom of numerous diseases and lack of nutrients, vitamins, minerals. If the growth of the child corresponds to the average value of the tables, should be examined by a doctor. Another important indicator of children's development – body mass. The child's weight is changing under the influence of many factors, but there are average values that are the boundaries of the norm. Body weight full-term newborn baby is 2600-4500 In the first three months of life there is the most intense weight gain. For the six-month age dynamics of weight gain begins to decrease. To the year of a healthy baby weighs an average of 10-11 kg. Small deviations from the norm are not a pathology, as the weight – labile figure, due largely to the individual characteristics of the child's body. Motor function – indicator for assessment of psychomotor development of the child. Immediately after birth measured natural physiological reflexes of the baby. To two months the child must confidently hold his head, his movements become less chaotic and messy, the baby may attempt to grab the toy and hold it in his hands. For three months, many babies begin to roll from back to belly, but this action baby can first make and at five months of age that is not considered a deviation from the norm. At 6 months the child usually begins to crawl and attempt to sit in 7 months these attempts should succeed. At 9 months, the child already knows how to crawl, roll over from back to stomach and then stomach to back, sit, stand and take those first steps the support. Independent steps without support most kids do in 12 months. It is important to remember that none of the indicators of children's physical development is not a cause for concern. Development of the child is evaluated in a complex multitude of signs with the obligatory account individual peculiarities of the organism.